He might be out of the WSOP Main Event, but over the weekend Brazilian pro Felipe Ramos enjoyed the support of countryman and football star, Neymar Jr. Naturally, the appearance of one of the world's leading footballers inside the Rio caused a stir, but Neymar Jr was only interested in seeing if his poker friend and mentor was able to make it through the session and move another step closer to Main Event gold. 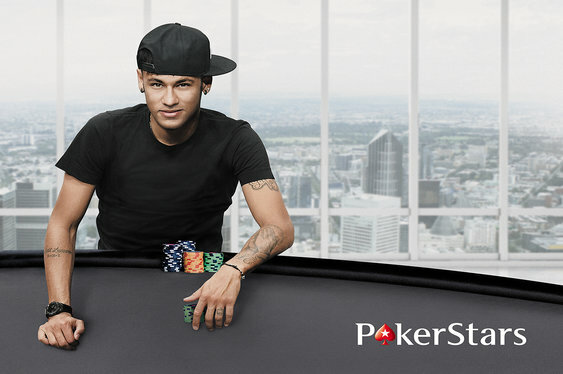 Having signed for PokerStars earlier this year, Neymar Jr has gradually begun to integrate himself into the community during his down time, but his association with the WSOP stretches further back. Back in 2014 the Barcelona forward was one of many Brazilian sports stars to feature in a video dedicated to Bruno Politano. The Brazilian grinder had made it into the November Nine, so to give him a boost before the finale a group of friends reached out to some of the country's top sporting figures, including Neymar Jr, and got them to show their support. Although Neymar Jr wasn't on the rail last year, he decided to take a trip to the Rio this year to wish Ramos luck. Talking to Pokernews, Ramos explained that Neymar Jr was on holiday, but took some time out to enjoy some poker action. "He's on vacation, and he came over here just to give me a hug and wish me good luck. That means the world to me, because he doesn’t have to do that," said Ramos. Although Neymar Jr's appearance at the WSOP wasn't enough to spur Ramos on to victory, it might not be the last we see of him. With his contract with PokerStars well underway, we could see the footballer anteing up in the Main Event himself next year.